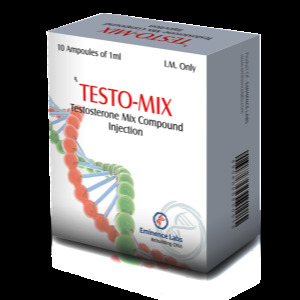 Need an effective anabolic steroid with minimal androgenic activity? Then Primobolan Depot manufactured by Organon was created just for you. 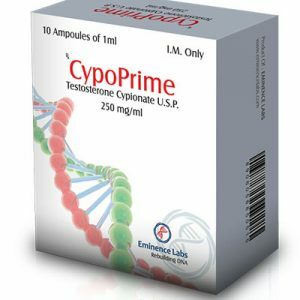 The drug allows you to achieve good results in the growth of quality mass. Primobolan 200 mg Dragon Pharma is one of the most affordable and effective steroids with low androgenic and high anabolic activity. Judging by the numerous reviews, athletes compare the effectiveness of this steroid with Nandrolone, but the latter anabolic activity is somewhat less. Many athletes use Primobolan 200 mg Dragon Pharma in combination with other steroids to accelerate the growth of high-quality, relief muscles. To date, the drug has gained popularity throughout the world, thanks to a fairly long period of action equal to 14 hours from the moment of injection. 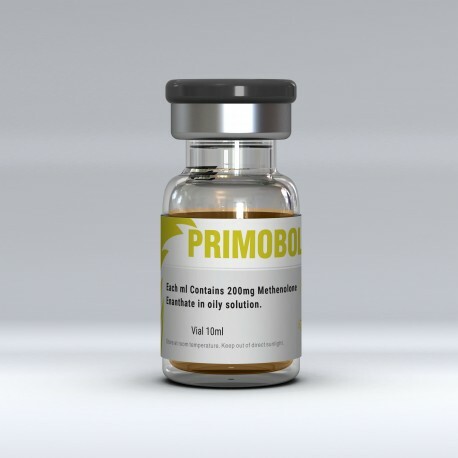 No wonder Primobolan 200 mg Dragon Pharma is one of the most effective drugs, which, due to their mild efficacy, are allowed to receive athletes. The active components, penetrating into the body, stimulate the processes of protein production, and this, in turn, affects the increase in the level of red blood cells in the blood. As a result, the drug allows the athlete to get the maximum effect from training. It is worth noting that Primobolan retains nitrogen, which also has a beneficial effect on the growth of muscle mass. Also, the drug accelerates metabolic processes, and allows you to get rid of fat deposits. Many athletes decide to buy the drug because of its high efficiency in the course of drying. Usually, the dosage of Primobolan 200 mg Dragon Pharma can be prescribed by a specialist in the range from 50 to 150 mg per day. Athletes to achieve greater efficiency can take the maximum dosage – 150 mg, while beginners should start with the lowest dosage. If the drug is used in combined courses, the dosage will be half as much. The main course duration is 8 weeks, while the athlete, depending on the goal, can independently regulate its duration. Women who are satisfied with the price of the drug, usually take half the dosage, namely 25-50 mg. In this case, the duration of the course should not exceed 6 weeks. It is allowed to combine the drug with Nandrolone, Anadrolone or Sustanon to enhance the effect. You can buy Primobolan 200 mg Dragon Pharma in our online store, at the same time on quite favorable terms of delivery.